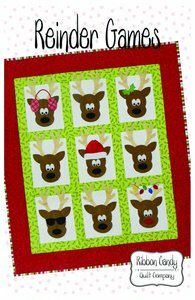 Join in the Reindeer Games and make your Christmas wall quilt. Easy to follow instructions and full size templates make this 40" x 46" wall quilt a quick and fun holiday project. Fusible applique is used.